The Pitcor SLO 5PiF with noble dull-black design has particularly been designed for carp fishing and heavy feeder fishing. The High-Power gear cares for maximum power transmission and even running, also at high strain. The wormshaft system is conceived for a medium-slow spool stroke, enabling long and precise casts with both braided and mono lines. 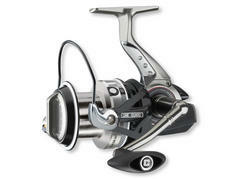 Super longcast reel with QD fast drag system. Developed for heavy freshwater fishing (pike, feeder and carp) as well as for surfcasting. Equipped with our QD fast drag, which can be turned from nearly open to completely closed within one turn of the drag knob. 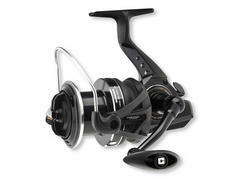 Big fish reel developed for saltwater fishing - all parts are special coated and saltwaterproof. Equipped with 4 stainless "NCBB" steel ball bearings. Thanks to the special wormshaft system, the superlong spool offers a perfect and harmonic line lay and thus the Seacor XP reels are perfect surfcast reels for extremely long casts. 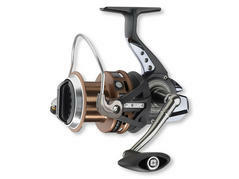 The power-gear with a tremendous smooth running, the strong Infinit system and the reliable bail function guarantee an extremely long and reliable reel lifespan.